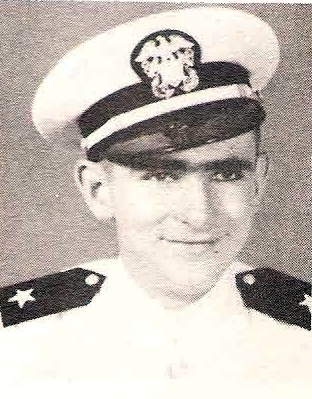 Ensign Joe Lee Jones, son of Mr. and Mrs. C. Lee Jones, Graham, husband of Joanne Pittman. Entered Navy, 1943, trained at La. Tech. and State U. Served in Pacifc on USS Miami. Awarded APO Ribbon.